An immaculate renovation sees this home ready to move into with nothing required but enjoy your Ocean Grove lifestyle. The open plan living space includes a well-appointed kitchen, bay window dining room & family room flowing onto the alfresco entertaining area and large secure yard. 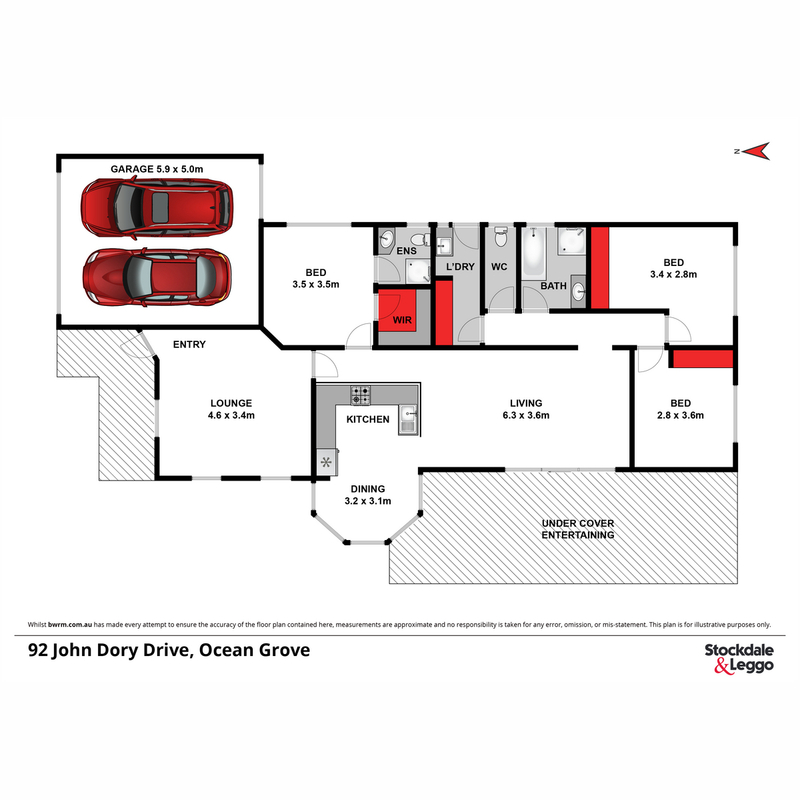 The formal lounge at the front of the home gives space and a second living area, whilst the master with full ensuite and WIR is separate to the further 2 bedrooms at the rear of the property. With a double lock up garage, ducted heating, air conditioning, timber shutters to the open plan living, new flooring throughout & perfectly landscaped gardens coupled with a position close to schools, shopping and shell reserve sporting facilities, this home represents value for money in a superb location perfect for the permanent residence or holiday home.